Did you know that London Dry Gin doesn’t have to come from London… or even the UK? In fact, it has nothing to do with a gin’s place of origin! It does have an extremely important significance, though. Read on to find out exactly what London Dry Gin is (and how to drink it)! SO… WHAT IS LONDON DRY GIN? Unlike Champagne, which must be made in that specific region of France, London Dry Gin isn’t inherently linked to any specific geographical region. 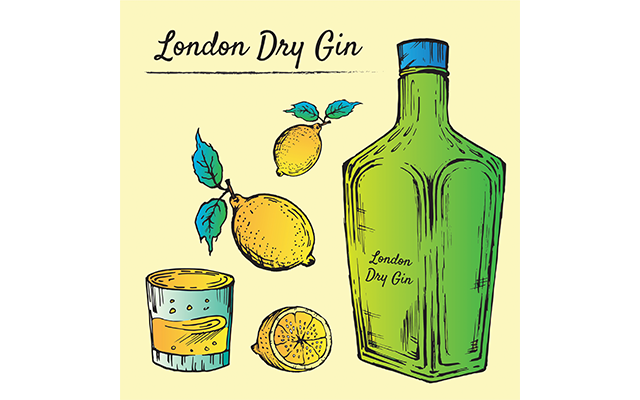 Instead, when London Dry Gin appears on the label of a bottle, it means a very specific process was used to make the gin inside. It doesn’t actually tell you anything about the spirit’s flavour or place or origin. For example, despite being made in London and using organic and London-grown botancials, the Dodd’s Limited Edition Gin in our Craft Gin Club April ‘19 Gin of the Month box was not a London Dry Gin! WHAT ARE THE ORIGINS OF LONDON DRY GIN? 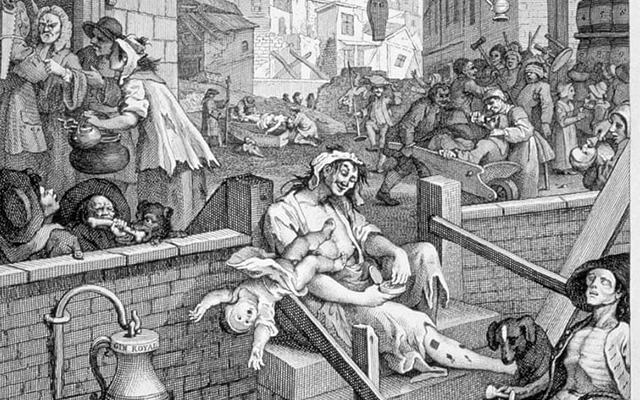 ‘Gin Lane’ by William Hogarth was published in 1751 in protest against the uncontrolled production and sale of cheap, dangerous gin. During the gin craze of the 1700s, the gin industry was booming! But there was very little regulation on how gin was produced, meaning unscrupulous distillers made the spirit using dangerously crude methods. The resulting liquid was often practically undrinkable because it tasted so unpleasant. Post-distillation, the gin producers would add artificial ingredients, chemicals and colouring to make it more palatable. However, this was incredibly detrimental to the purity and quality of the gin. Some distillers even added methanol, a toxic chemical that can be fatal! When London Dry Gin first appeared on the gin scene, it was to ensure that gin drinkers could enjoy a spirit of quality that wasn’t filled with nasty chemicals post distillation! WHAT IS A ‘LONDON DRY GIN’ TODAY? First, a neutral base spirit must be distilled to at least 96% ABV (this can be achieved by distilling the spirit in a continuous column!). None of the botanicals added can be synthetic or artificial – they must all be natural. All botanicals must be added during the distillation process. Nothing but water and a very small amount of sweetener can be added post-distillation.